The male calf, which has not yet been named, was born to mother Sayang and father Mowgli on January 31. He is the eighth tapir calf to arrive at the zoo since 2007. Malayan tapirs are considered an endangered species with a European conservation breeding programme helping protect them from extinction. The brown and white fur helps provide camouflage for baby tapirs in their natural rainforest habitats, developing to black and white after a few months. An online poll has been set up to help decide a name for the zoo’s new arrival. Suggestions include Penang, Haruun, Bintang, Megat, Amal and Bernam – all of which have a Malayan connection. 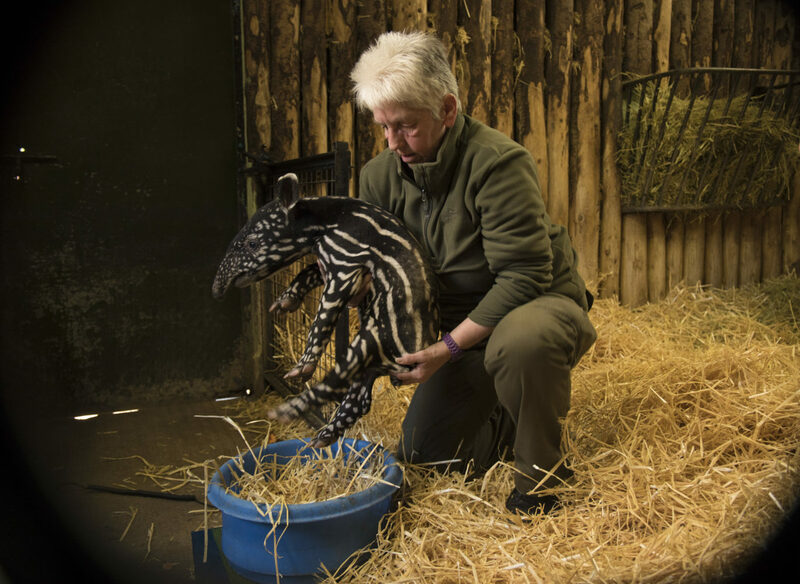 Jonny Appleyard, team leader for hoofstock at Edinburgh Zoo, said: “Malayan tapir populations in the wild are continuing to decline, so all births are incredibly valuable to the breeding programme and we’re really excited about our latest arrival. Voting on the tapir’s name closes on Tuesday.